Stir together the mayonnaise, sour cream and mustard. Add the honey and lemon juice. 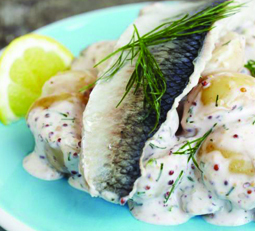 Combine potato slices, herring and red onion. Pour over the dressing and add garnish.